Over the past years since its initiation, YASA had continuous work and organized numerous safety promotion and injury prevention campaigns for various types of injuries over the wide variety of means available for such campaigns. YASA also followed up on the recommendations related to the aims and objectives of the organization. In 2001, YASA International started its work through participating and organizing events and programs aiming towards safety promotion in various Arab countries. 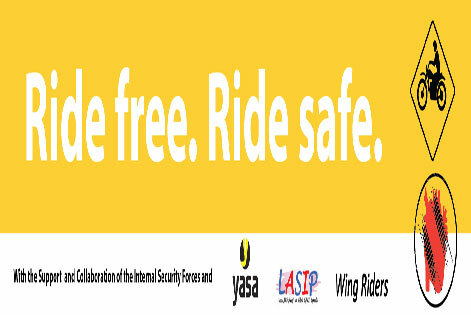 YASA International has and continues to seek to spread awareness to the widest public possible about safety promotion and injury prevention. YASA also focuses on the upcoming generation and tries to promote among them safety through partnerships with media and educational institutions. Over the past years, YASA International has also played an active role in the preparation of many laws and regulations related to public safety in various Arab countries. It also seeks to increase partnership with the public sector and the civil society organizations that is concerned with the public safety in an aim to help prevent tragedies and reduce number of deaths and disabilities in many Arab Countries.